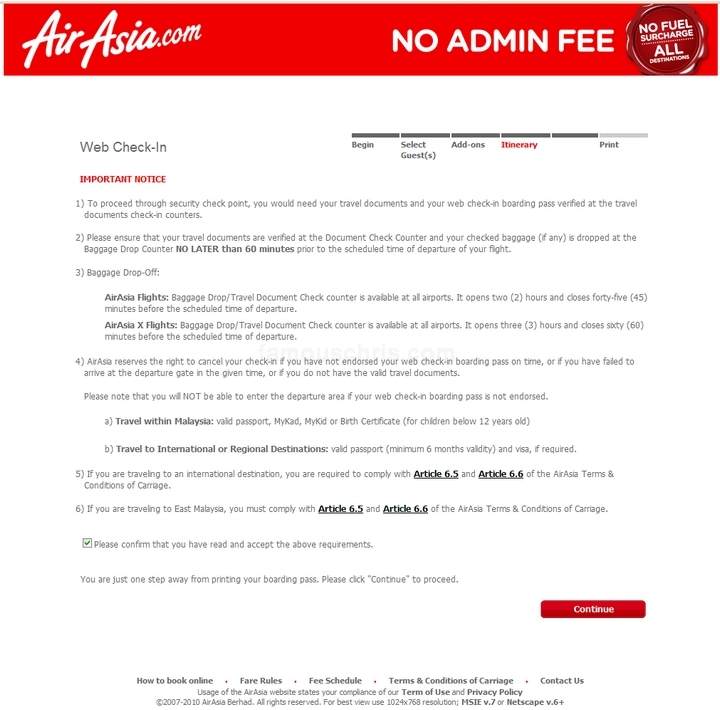 Today, I did AirAsia’s web check in for the first time in my life and it made life so much easier. My flight was in 4 days time but I’ve already checked in. I liked it as I no longer have to be at the airport much, much earlier before departure time to check in. I walked into the departure gate 30 minutes before departure time and I still made it. As long as you have access to a printer, web check in! 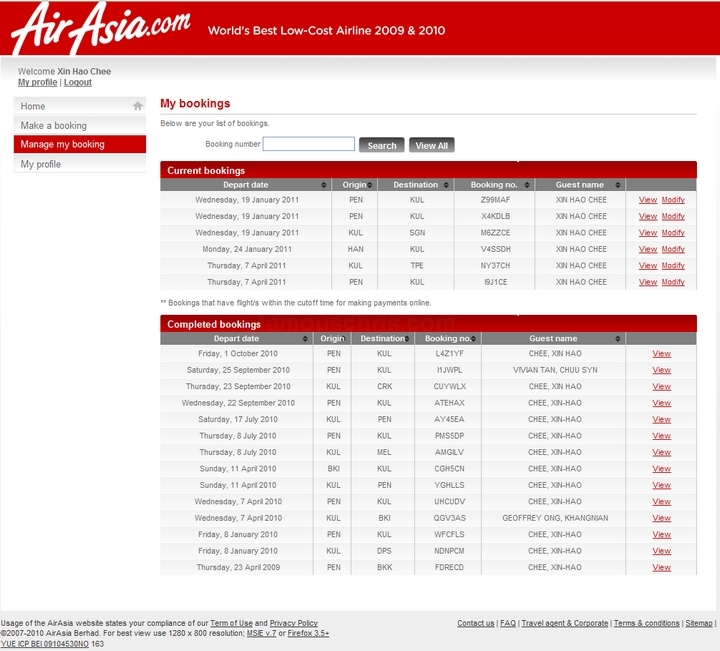 Step 1 : You can always log in to ‘Manage My Booking’ to check out your booking details if you ever forget them. 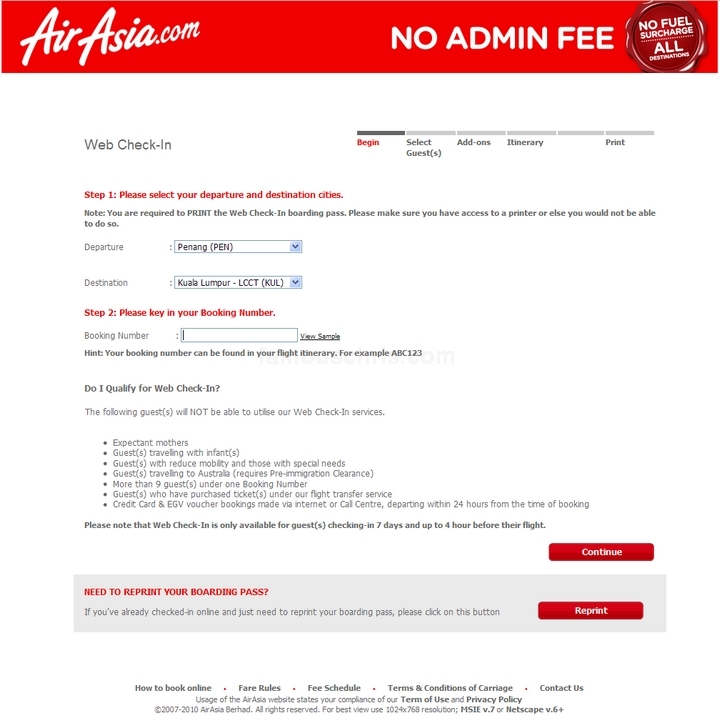 Step 2 : Go to checkin.airasia.com and you will see the page below asking you to fill out just 3 simple details. Where you’re from, where you’re going and what’s your booking no. 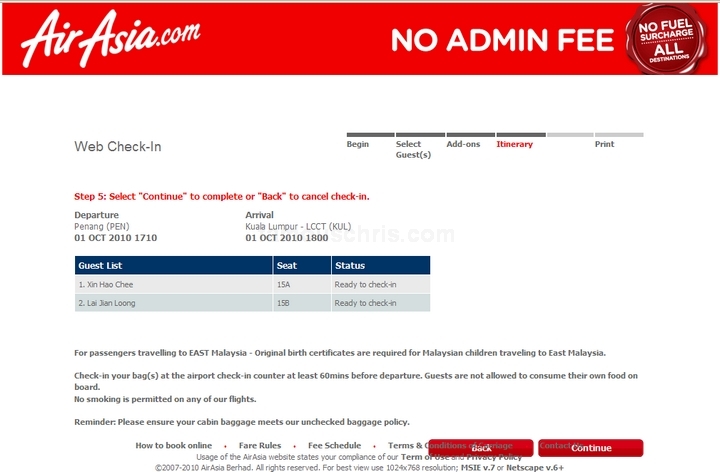 Step 3 : After your details have been confirmed, you will be asked to tick and check in the people that are tied to the booking no. 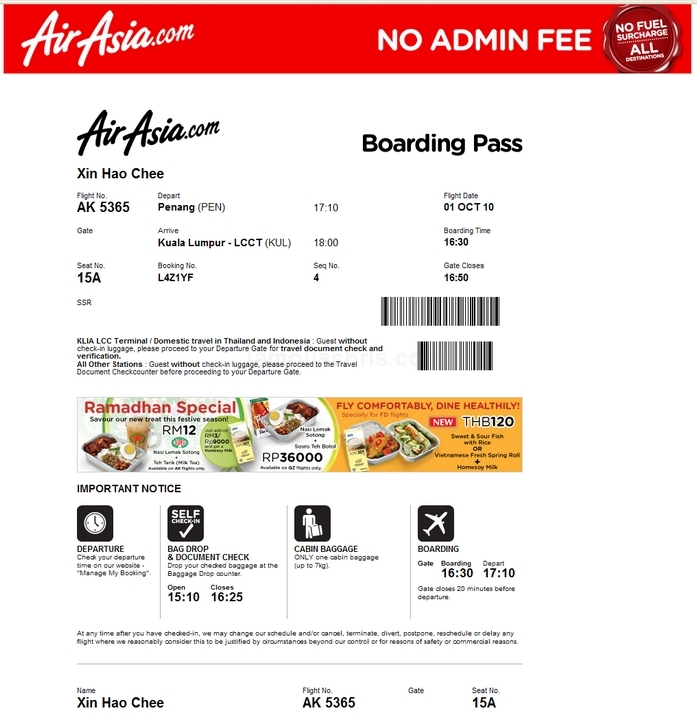 Step 4 : Details of the flight will be displayed again for reconfirmation. Step 6 : Ta da! Ready for printing. 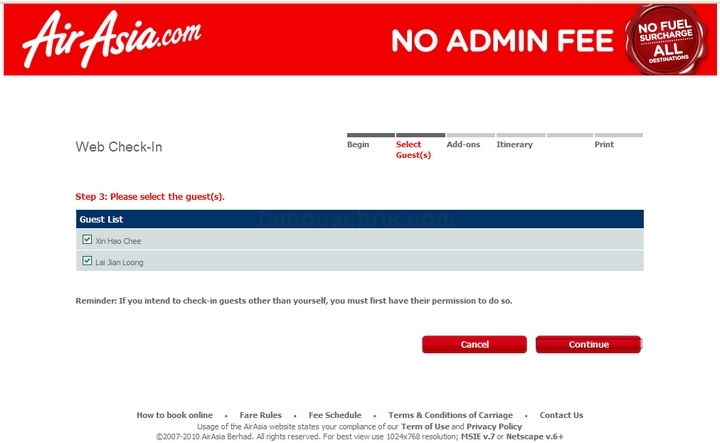 And if an error ever happens after you’ve checked in, you can always go back to Step 2 above and ‘Reprint’ your boarding pass. 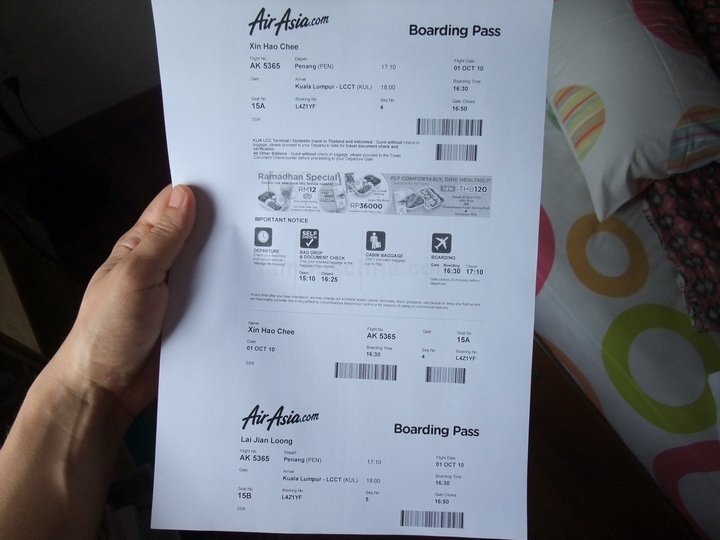 Step 7 : Boarding pass in your hands from as early as 7 days before departure to as late as 4 hours before the flight. So convenient! And if you are carrying large luggage, you can always drop them at the AirAsia ‘Baggage Drop’ counter located at the airport.